Side Note: We have taken great inspiration and wisdom from Michael Hyatt and his book Platform: getting noticed in a noisy world. Check his website if you are trying to get started on your own blog. Many of the ideas in The Great Escape book arise out of PhD research in Oxford and have been field tested on this blog. 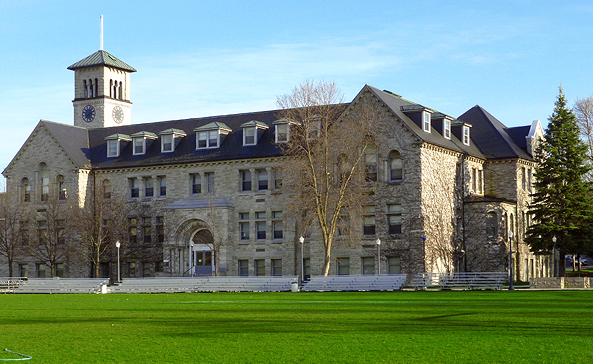 The agencies that host this academics-faith interface at University of British Columbia in Vancouver are the Graduate Christian Union (GCU student group) and the Graduate & Faculty Christian Forum (GFCF http://ubcgfcf.com) a monthly public lecture series at UBC. We host international scholars at the top of their game to address important topics of interested to a wide variety of academics. We are excited to see that the dialogue is expanding to other schools in the Lower Mainland through a Consortium of Christian Academics (including SFU, Trinity Western Uiversity, Regent College, University of the Fraser Valley, and University of Victoria). We also cooperate with the Canadian Science & Christian Affiliation on some of our visiting scholar tours: for example, neurobiologist Dr. Bill Newsmen of Stanford University this coming January. We also network with other grad and faculty ministries such as Emerging Scholars in the USA, Faraday Institute for the Study of Science and Religion, Christian study centres like L’Abri Canada and the International Fellowship of Evangelical Students. Let us know if you are looking for a connection to a dialogue near you. Don’t travel through your grad journey alone; find a stimulating community. There are brilliant resources available; find a group of friends who can challenge and support you. That is essential to your success, according to David Ley in UBC Geography. Women check out website http://www.tothewell.org. Check out the Resources Centre button on this blog for connections to great support and dialogue centres of discussion across North America and the UK. We will keep adding to this important information source. 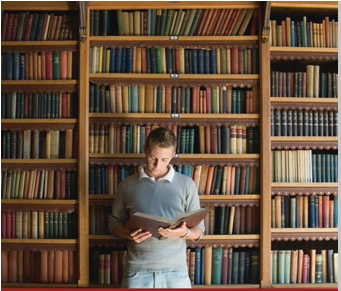 Under Faith & Scholarship, and Apologetics Resources, you will find some excellent bibliography that could help you in your intellectual development as an interlocutor, as well as your academic research. Here at UBC we enjoy cutting-edge lectures, robust and lively discussions of important issues and questions in a variety of contexts, and we want to share insights and questions that arise. We also draw on a rich breadth of Christian tradition for insight and spiritual encouragement (sometimes called Deep Church). 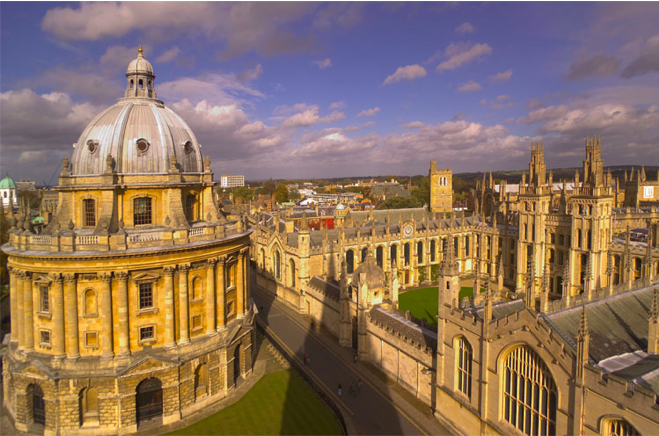 We also long to know about the best advancements in secular scholarship, staying on the cutting edge. It is our conviction that in the current debates about faith and culture, stewardship, globalization, and wise use of science, it is not enough for students to attain to academic excellence and expertise in a research area. They must read and dialogue beyond their discipline in order to grow as whole persons preparing for global citizenship. We believe in the value of the humanities and social sciences to make us more rounded, wise and employable. In an interdisciplinary context, students and faculty help one another to open the horizons of thought and to think more critically and even strategically. What are the implications of the incarnation (God with us) one of the central doctrines of the Christian faith for graduate students and people in general today? What of their identity, their posture and their voice on campus and in community? Incarnation is “where God’s eternity and creation’s temporality meet” (D. Stephen Long, 2009, Speaking of God, p. 86). There is no simple answer, but it is great territory to explore, good soil to turn over and over again. If indeed Jesus is the wisdom of God and the power of God, the reason, the telos or goal of everything (Colossians 1), it would be terribly wrong to keep this a secret from our colleagues, or to totally repress it in our academic endeavors. If we are able to say ‘Jesus is Lord’ with respect to our studies and our relationships (Romans 8), that will begin to transform them and give us fresh motivation, creativity and energy. This is a highly fruitful experiment to run, highly fruitful lines of research to explore using the best scholarship that today’s academics haven to offer. It offers something special to academic community, leveraging the full weight of logos and agape. We have been on a journey in this discussion to escape nihilism and discover our home in a bigger, more complex, mysterious, beautiful and adventuresome world. Language is a divine gift to human persons, a most wonderful, powerful, formidable and sometimes dangerous gift. Marquette scholar D. Stephen Long encourages us that we can escape Nihilism for something better. Good philosophy, philosophy that does not seek to close us off from the world in some tight, immanent reality, will remain open to receiving this gift, a gift that can be found in language, but never identified with it. Philosophy should be the love of wisdom that prompts persons to use reason in the quest for truth, goodness and beauty…. Philosophy and theology have distinct tasks, but those tasks cannot be delineated solely in terms of nature and supernature or reason and faith. There must be something which is to all beings the cause of their being, goodness, and every other perfection; and this we call God…. Theology comes as gift communicating God’s goodness to creatures for their own perfection, showing them their imperfection” (D.S. Long, 2009, pp. 83, 207, 316). Scholars work with grammar, figures of speech, assumptions, dispositions, theories, arguments and a whole variety of linguistic practice. We ought to explore and enjoy language to the full, for the common good of society, to build up moral capital, to promote shalom. We give thanks to God for offering us mere mortals access to this high level of calling and community, this high level of international, inter-collegiate interlocution. We need to find our voice and our full identity within the incarnational word made flesh, the word that underwrites all human language and speech. This will provide us with an edge in our work, new interlocutors that can free us from the grip of too narrow a perspective on research, life, self and relational-political life. To close ourselves off, to implode into a minimalist or reductionist language game, or to try to articulate all aspects of life with scientific language alone, to refuse theological, poetic, artistic and philosophical speech is a tragedy, a major cultural loss. It is to be in denial of this richer, common human heritage, this larger brilliant linguistic and moral horizon, these thicker perceptions of human identity, to refuse our fullest humanity. It is to deprive us of the full academic and personal adventure. Finally, poet-pastor Eugene Peterson speaks to the important issue of words. It can be seen as a benediction on our important musings over these past several pages. It is a good last word on the trajectory we have followed and fought for in late modern Western culture. If we follow in the way of the Christ-centered logos, it will set us free from nihilism and cynicism, free for community, communion, meaning and joy. Gord grew up in the Ottawa Valley and lived and worked in Ontario for several years before coming to the West Coast of Canada in 1986. 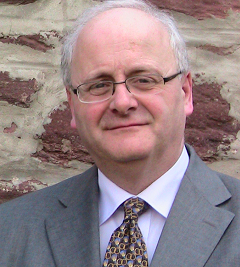 Here he has been serving a network of postgraduate students and faculty for over two decades. He loves seeing the lights turn on when a student realizes that there is substantial Christian scholarship to complement her area of research, or when a student discovers a faculty member as a mentor in holistic development. The issues at stake press us to develop in character and self-awareness as well as world awareness, to listen to the significant questions and debates from other sectors of the university and the culture. We care about the Big Life Questions. 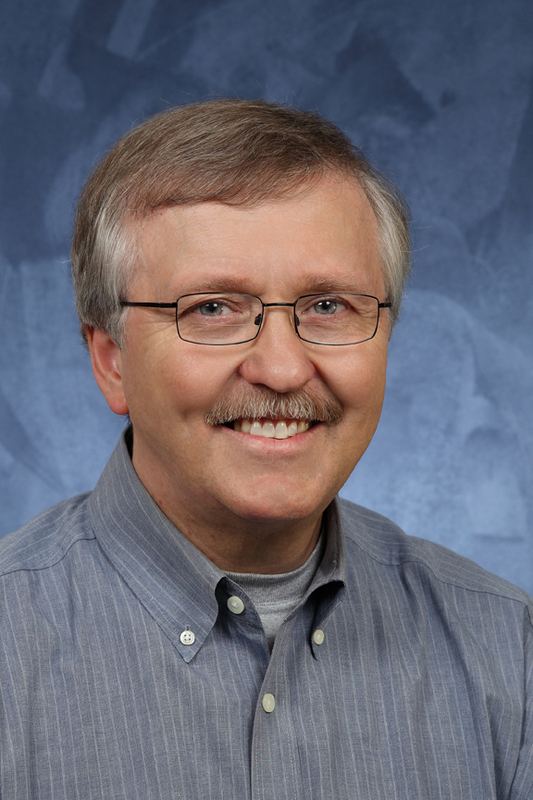 Dr. Carkner is married to Ute, a specialist in Prayer & Spiritual Formation, and they have two lovely daughters. In his spare time, he loves to get out in the mountains, lakes and ocean; he enjoys an eclectic variety of music, great movies, good books and rich time with friends. He is very curious about the richness of experience and questions a host of students bring to Vancouver from around the globe. He attends a local Vancouver church with his family. He once road a 650 Yamaha motorcycle across Canada coast to coast as a graduate student seeking to understand his complex country of birth better, asking the tough question: What kind of leadership does Canada need in the future? Radical Individualism Examined A quest to fathom the importance of community amidst a hyper-individualistic Western society. SCIENTISM A quest to capture a picture of a richer understanding of knowledge which appreciates all that science offers human flourishing. Taylor’s Ethics Articulation of the recovery of the ancient language of the good in contemporary ethics and moral philosophy. Taylor is one of the premier philosophers of our time. 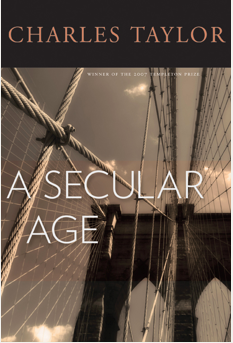 Charles Taylor and the Immanent Frame Brief article which reveals how Taylor sees the relationship between religion and the secular in his award winning tome A Secular Age. Some see this as such a cynical age that they wonder whether ideals have currency, or whether we are left with a game of rhetoric. We wish to protest. As a ministry to graduate students at UBC and beyond, in Graduate Christian Union (GCU) and the Graduate & Faculty Christian Forum (GFCF), we are on a pressing quest. This is also our prayer for this fall and spring 2015-16. It is not an easy, safe or superficial desire. Quite the contrary, in our quest, we are looking to find and nurture the next generation of culture- and nation-shapers, builders of the literary imagination, institution-shapers. We are looking for the future apologists, justice-seekers, politicians who care about the common good and the weaker members of society, peace-negotiators, international relations adjudicators, people who seek to make a difference. God, show us the new prophetic voices who will shape public policy towards a more fair and just society (exploring a politics of love), musicians captivated by beauty wanting to bring glory to God, medical people with an ear to their patients as persons, educators and thinkers with vision of deep incarnational humanism. Give us by your grace wise counsellors and healers of broken hearts, leaders with moral depth, substance and self-knowledge, people who can benefit from the wisdom of history and pursue robust vision for a more compassionate and stewardship-minden world. Inspire the new artists and writers who can capture the heart of human pain and struggle, stewards of creation who want to leave a positive environmental legacy, problem solvers who can draw on a variety of insight, scientists and technologists who care about ethics, who are bullish on mapping the human and creational benefits of their work. Empower and encourage the truth-seekers who will think through and pursue the point rigorously, lawyers with a strong concern for justice, philosophers who will lead us into wise reflection and critical relevant thought and debate. Capture the imagination of young business entrepreneurs with an environmental conscience and a strong stewardship priority, priestly people with theological acumen who know the art of soulcraft. These people will refuse to permit ‘technique’ or utility, power or profit the final word, or the defining posture of their identity and efforts. Understanding how modernity has shaped them, they will think differently about what it means to be enlightened. They will sense the need to explore how they can shape and contribute creatively to late modernity in fresh ways, rather than just copy old templates that can grind us down and lead us into another cul de sac. This is an exciting trajectory, a high privilege and calling. Is it idealistic? Yes. Is it needed? Yes indeed it is; nothing is more pressing for the kingdom of God and the improvement of our world; we need leadership with creativity, courage and substance. Many have travelled before us through the halls of academia with such high ideals, as emerging global citizens, people who refused to be sheep and decided to be leaders, to pursue a life-long learning trajectory. We are called forward into depth and breadth of vision as we put shoulder to the plow and keep our focus on the high road of the eternal pathways. We are in pursuit of values and moral goods rooted in a strong consciousness of divine transcendence, creation, radical hope, incarnational relevance and creative goodness. We cherish values which invest in a visionary, moral, and constructive community, where taking responsibility for self and the Other is natural and part of everyday life. The needs of others move us. These people are willing to grapple fully with the transformative impact of delving deeply into the Christian narrative of meaning and purpose, to take on the full mantle of its heritage at its best. They believe in the principles of shalom, servanthood and faithful presence, in the values of the Sermon on the Mount, and lived in the visionary life of Jesus of Nazareth. GCU & GFCF want to introduce you to some exemplars over the course of this coming academic year. We hope you will see that ideals of the human spirit really motivate today, call us upward on a higher plain of existence, that they have cash out value in God’s economy of grace, that the Christian faith has never been more relevant to a hurting world. This is our discourse and our quest. We are willing to drill down until we find the sweet water of good reason. Further Note: GCU members proceed with a willingness and a calling to ‘think differently’ (a phrase often used by Michel Foucault to signal a radical stance). In an age of nihilism (loss of meaning, cultural absence of God, and trivialization of self), ennui (existential boredom which often leads to self-medication), and cynicism (refusal to see the good motives in others or institutions), we articulate and write a story of hope, substance, creativity, a saga of a deeper, redemptive possibility. We see through the disillusioning elements of culture to heavenly intentions for the way, the truth and the life. We pursue the recovery of enduring ancient academic and cultural virtues, remembering that the secular age or the age of will-to-power is a more recent phenomenon and just one story in late modernity. We want to restore a human vision that is realistic about brokenness, yet empowering for change and enduring in its cultural relevance towards the promotion of hospitality and community. This entails a strong belief in the deep and enduring good that Christianity at its best and most authentic has to offer, a good that is rooted in the profound and extensive goodness, grace and love of God, and the goodness with which he has imbued creation. 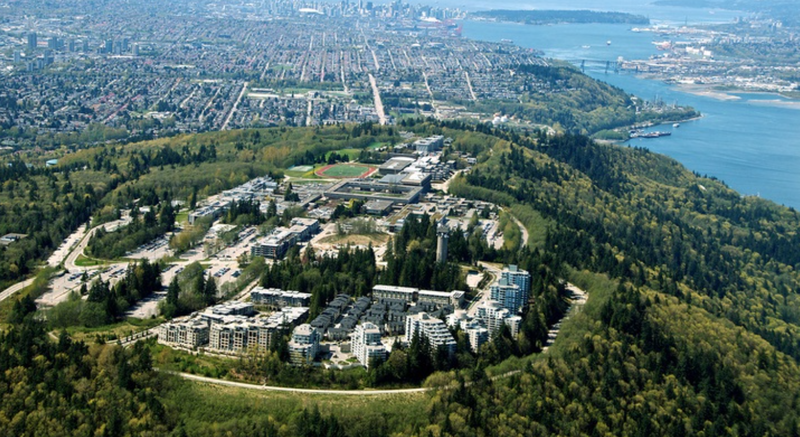 Here at our campus on Burnaby Mountain, Simon Fraser University, the organization that we share resources with is the Christian Leadership Initiative (Dr. Martin Ester in Computer Science <ester@cs.sfu.ca> & Gary Stevenson <gtstevenson@gmail.com>). SFU runs a faculty-taught discussion God & Reason, a non-credit course for seekers and sceptics. I am Martin Ester, a computer science professor at SFU. I have supervised graduate students for more than ten years. I am also a Christian who is convinced that my faith is relevant to all aspects of our world. I continue to enjoy this part of my job very much and have the impression that my students also do enjoy their studies, at least once in a while. Sometimes current or prospective students ask me for advice on how to succeed, and I have tried to distill the following short advice, which will hopefully be useful not only for computer science students. Make sure that you know why you are going to grad school. The monetary benefit of earning a higher salary with a graduate degree may be smaller than you think. And the reputation of your degree may also not be worth investing several years of your life (you have only one!). You may waste part of your life and will not even succeed with your graduate studies if you do not have a better answer. I believe that you need to have a passion for your thesis topic, an inner motivation to explore that helps you to overcome the inevitable hard times during grad school. On the other hand, your studies need a purpose that goes beyond your own interests, and you should have a realistic understanding of how your studies will help you to better serve “humanity”. Keep in mind that, e.g., not every PhD can have an academic career. I have often noticed that super smart grad students with a somewhat arrogant attitude have the feeling that “they have arrived already” and are neither working hard enough nor willing to accept guidance from their supervisor. As a consequence, they tend to be less successful than grad students who may be a tick less intelligent but are really hungry to learn and willing to accept both encouragement and correction from their supervisor or from other people such as reviewers of their scientific papers. Read as many good books and papers as possible. Discuss your research with your supervisor, with other professors, with your fellow students. Apply and test the results of your research in industry, government or where possible. Finally, ask the deep questions and try to come up with solid, new answers. This advice may surprise you the most. Do not get me wrong, you must work hard, really hard to succeed in grad school. However, while grad school is very important, realize that there is more to life. Take care of your body by feeding it properly and exercising enough. Do not neglect your social life, but cultivate meaningful friendships at school and outside. And pay attention to the spiritual dimension of your life which connects you to God. As Jesus summarized when asked for the greatest commandment: “Love God with all of your heart, mind, soul, and body. And love your neighbor as yourself.” Do not postpone the seeking of balance in your life until after grad school, when “things will get better”. Things will not get better, but worse: you will get only busier in the course of your life. Therefore, start finding and maintaining your balance now! References: Apostles, Nicean and Athanasian Creeds of the historic church.